Police in Hamilton, Ont., have implemented a new approach to dealing with people with mental health issues, after a successful 15-month pilot program saw apprehensions under the Mental Health Act fall nearly 50 per cent. Hamilton police officially launched the Mobile Crisis Rapid Response Team on Sunday. The program involves taking a mental health worker along in the police cruiser whenever officers receive a call that may involve someone with a mental health issue. The program runs seven days a week from 10 a.m. to 1 a.m. 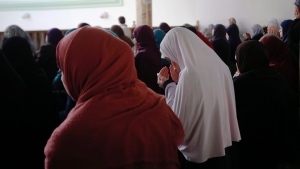 The goal of the program is to decrease the number of people suffering from a mental health crisis from being taken to hospital emergency rooms. Having a mental health worker on the scene means there is a skilled professional serving as a first responder to help assess and possibly de-escalate the situation. In the past, officers were dispatched to the scene first, often taking the person to a hospital or local police station. A mental health worker would later be brought in to assess the person. "We've now put the mental health professional in the police car with the police officer," Hamilton Police Chief Glenn De Caire told CTV's Canada AM. "(It's) the first of its kind in Canada – we now have that car responding as a first response 911 option." Sarah Burtenshaw is among the mental health workers participating in the program. She has been dispatched to 911 calls alongside officers for several months now. "It's been an interesting experience," she said. "I think it's been successful in terms of people getting the right help at the right time." Before Burtenshaw heads to the scene, she and the officers take several steps to prepare for what they may encounter. Together, they go over the information they have, review relevant police databases, discuss potential scenarios that may unfold and review safety protocols. "Part of the officer's perspective is to keep me safe and to keep everyone safe in those situations," she said. "So we'll talk about outcomes, and how we're going to approach the problem and how we're going to approach the person in that problem." Once on the scene, if the officer determines there is no reason for police to invoke their authority, the mental health worker steps in to engage with the person, build a rapport and de-escalate the situation. Officers in the program also receive 40 hours of specialized mental health training, including crisis intervention, suicide intervention and assistance training, De Caire said. About half of Hamilton police officers have been trained, and officials want to eventually train all 800 officers. "Any member of our organization, in concert with our mental health workers, can run across a person in crisis," he said. "We need to have those skills to de-escalate those situations." 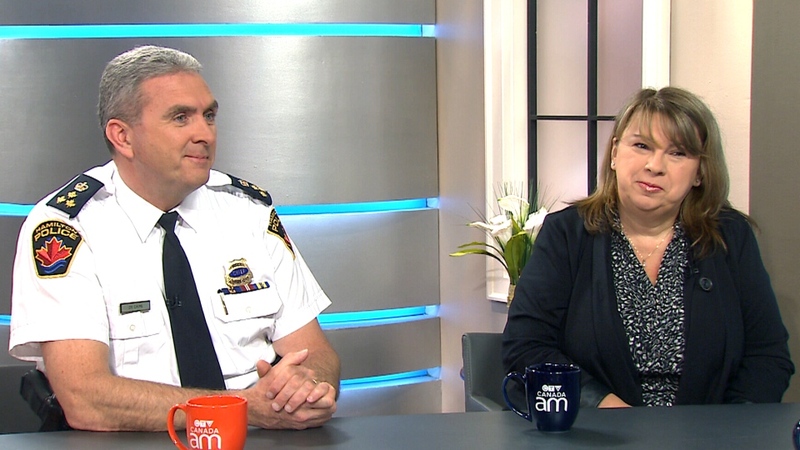 Hamilton Police Chief Glenn De Caire and mental health worker Sarah Burtenshaw speak to CTV's Canada AM, April 13, 2015.